Bail Bonds Companies – Many bail bond agencies go out of business within their first year, mainly because they make critical mistakes which ultimately lead to failure. When poor decisions lead to failure, the bail bond agency may have to go out of business. In contrast, with expert knowledge and careful planning, you can avoid many common mistakes that hinder bail bond agents. You can build a successful bail bond company if you take suitable steps and make a committed effort to grow your business with comprehensive decisions. Furthermore, you’ll reap the benefits of longevity in a highly lucrative industry. Now let’s discuss the main reasons bail bond companies fail and discuss ways to avoid these common pitfalls and mistakes. The biggest problem a bail agent may face in his business is the event in which a defendant doesn’t follow the legal requirements and rules set forth in exchange for his release from jail and decides to skip town. This action results in forfeited bail bonds. Since forfeitures are one of the fastest and riskiest ways for a bail agency to go out of business, it’s important to assess the risk of forfeitures in more detail. What are the costs associated with forfeitures? The cost of tracking down the defendant who skipped. The cost of paying the full bond amount if the defendant is not located. The risk of losing your surety company backing. If forfeitures happen too frequently and you have to pay the bonds, the cost will add up quickly, resulting in loss of profits and even your entire business. Hence, the importance of having sound judgement when it comes to assessing the character of the defendant and/or their cosigner. By safeguarding the bails you write, you can avoid these situations. In the bail bond industry, forfeitures are not uncommon. However, too many forfeitures in one business is a sure sign that your business is headed for failure. Always ensure proper due diligence prior to posting a bail bond. Don’t risk your business due to bad decisions. 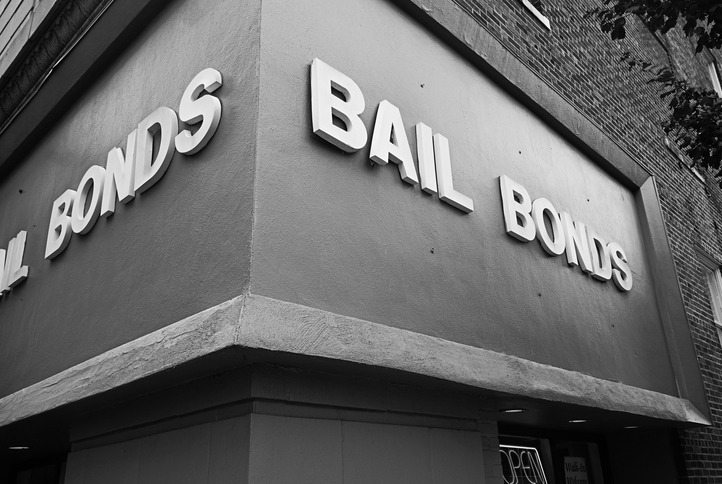 There are many reasons for losses in a bail bond business. For instance, tracking down defendants who skipped, or receiving insufficient collateral to cover the total amount for a forfeited bond. During a forfeiture, the bail agent responsible to either track down the defendant, or pay the bail bond. As these costs can add up rather quickly, it is important for the bail bond agent to assess which options are less costly. Your time should be spent being available for incoming calls to write new bail bonds. As people are getting arrested 24/7, it is important to be available around the clock to answer these calls. In today’s digital age, companies in every industry must implement a solid digital marketing plan to reach new potential consumers. In the bail bond industry, digital marketing is an absolute must to garner new business. For bail bond agents, it is recommended to have a mix of pay-per-click (PPC), SEO, and local marketing strategies to reach local clientele. As an industry geared towards local customers, it’s also important to have strong social media presence. Exposure and reach is the name of the game for social media. Outlets such as Facebook, Twitter, Google Plus, and Instagram are major must-haves in your businesses social media marketing strategy. If you are in the bail bond industry, it shouldn’t surprise you that you will be facing local competition. To be listed at the top of search engines, and for better visibility for your local PPC campaigns, it is highly recommended to enlist the services of a top marketing firm. Now that you’ve learned common mistakes that are made in the bail bond industry, you can prepare to face challenges that will show up undoubtedly from time to time. Maintaining a successful bail bond agency is an ongoing mission that requires nonstop effort. Being in control of your own destiny is the name of the game. Let Naked Media help you on your journey to build and create a solid bail bond business. We’ll rank your unique website with the important keywords in your local area using industry specific SEO strategy for bail bonds. This will ensure top placement on the top of Google and other search engines. PPC is one of the fastest online marketing tools to garner new business and achieve the highest conversion rate. At Naked Media, our creative design team will develop high converting user-driven websites, quality content writing with effective calls-to-actions. And our SEO team will work in conjunction with the creatives to develop solid SEO strategy. Call us today to schedule a free consultation and learn more about our marketing strategies at 888-595-6546.